Phirima Game Ranch is the result of the union of two farms that were acquired during 2001 and 2002. 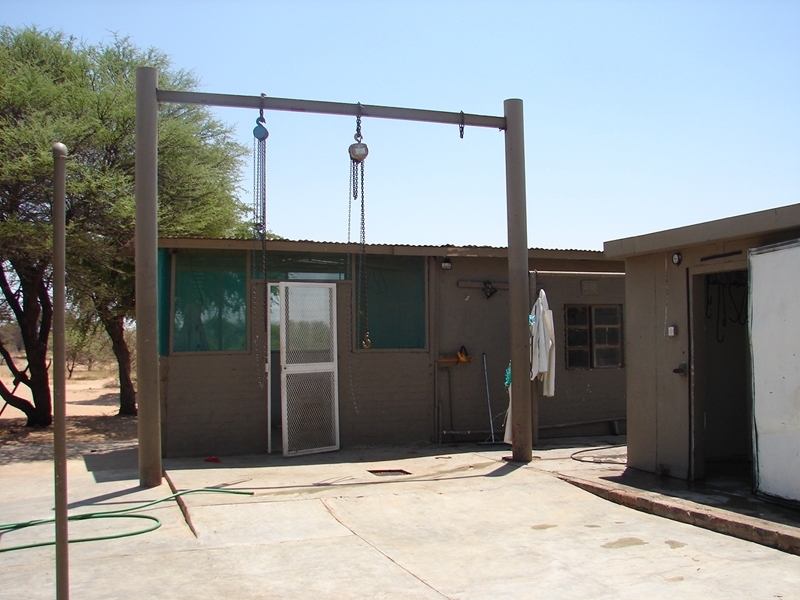 Phirima Game Ranch was built from the ground up with much love and sweat. The total size of the farm is 16 500 hectares, the sides measuring about 19 kilometers x 10 kilometers. Phirima is a registered game farm with the Botswana Department of Wildlife, which grants us the right enjoy hunting throughout the year rather than being bound to the hunting season. 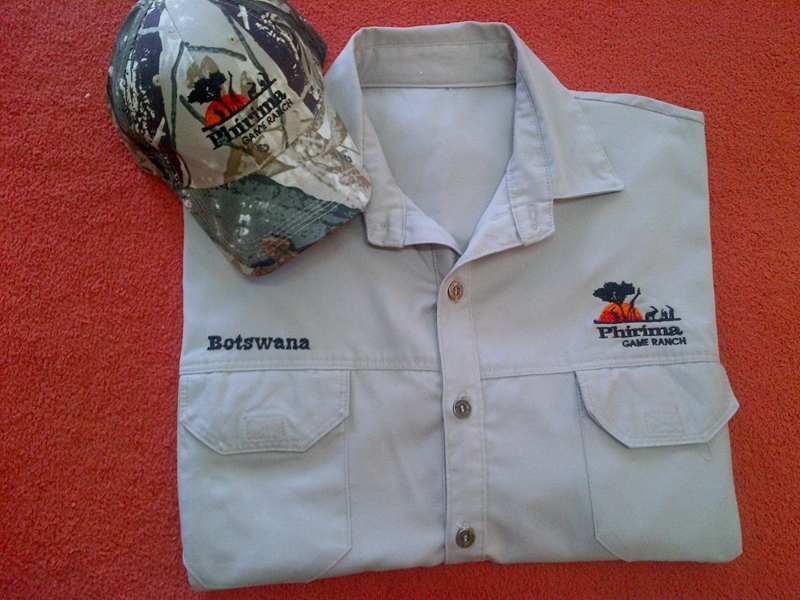 We are also a member of the Botswana Wildlife Producers Association (BWPA). We have purchased our game from various suppliers and sources in South Africa, Namibia, and Botswana, allowing us to introduce a wide spread of genes, improving our game populations. This is visible in the quality and slaughtering weight of the animals that are hunted at Phirima. 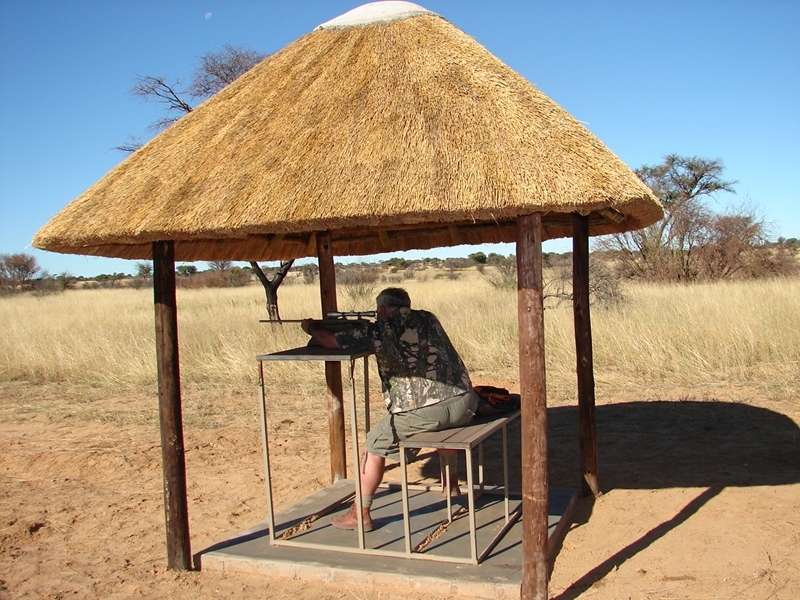 Our main activity on the farm is hunting, but we also promote game viewing, especially during the off hunting season. Apart from our bountiful game populations, we also have an abundance of birdlife. January and February, especially, is known for the increased number of raptors in the area. The spectacular view of the stars in the evenings is another of our favorite attractions. 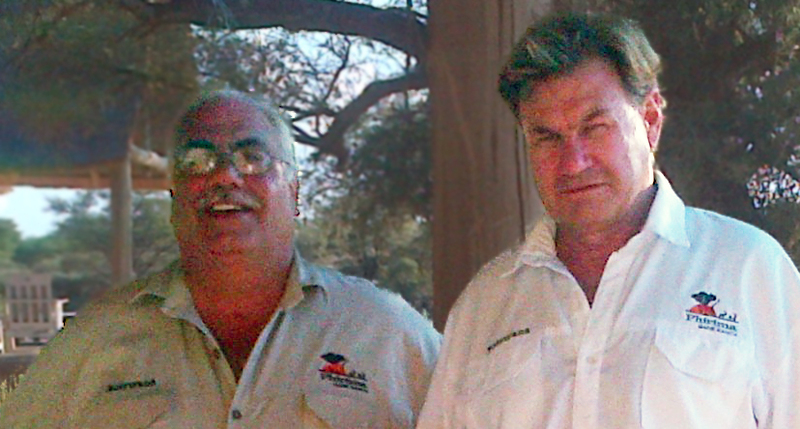 There are only two shareholders in the farm: Thomas van Zyl, who started the development in 2001, and Robert Dickerson, who acquired the majority shareholding in the farm in 2005. Henry McCarthy was appointed as Farm Manager in February 2017. His wife Anita assists him with administrative work. The farm has four full-time guides and a cleaning lady to ensure our guests are well accomodated. During hunting seasons, additional hands are employed to assist with guide and slaughtering tasks. From Gaborone: Gaborone (the capitol city of Botswana) is about 500 kilometers from Tsabong. You take the road to Kanye . You then travel on the Trans Kgalagadi Highway through Jwaneng and you take the Tsabong turn off at Sekoma. You then travel through various small villages including Khakea, Werda, Makopong and Khisa for about 280 kilometers. You continue through Tsabong on-route to Middelpits. You will find the Phirima Game Ranch turn off 30 kilometers from Tsabong. The last stretch is a 12 kilometers sand road to the Phirima Game Ranch gate. From Kuruman: In the Nothern Cape Province of South Africa, you travel in a northerly direction past Hotazel. There are two options that can be followed. They are exactly the same distance. You can carry on straight passed Blackrock. The tarred road ends at Blackrock. From there it is about 110 kilometers of gravel road to the McCarthys Rest border post. From the border post it is 26 kilometers of tarred road to Tsabong, where you can fill up with petrol, buy ice, etcetera At the four way stop in Tsabong you take the Middelpits road. You will find the Phirima Game Ranch turn-off 30 kilometers from Tsabong. The second option is to turn left between Hotazel and Blackrock at the Van Zyls Rest turn off. This route only has about 45 kilometers of gravel road. From Van Zyls Rest, you will proceed to Middelpits border post. You will turn towards Tsabong on the tarred road. You will find the Phirima Game Ranch turn off about 70 kilometers from Middelpits. The last stretch is a 12 kilometers sand road to the Phirima Game Ranch gate. From Upington: You follow the R360 to the Kgalagadi Trans Frontier Park. 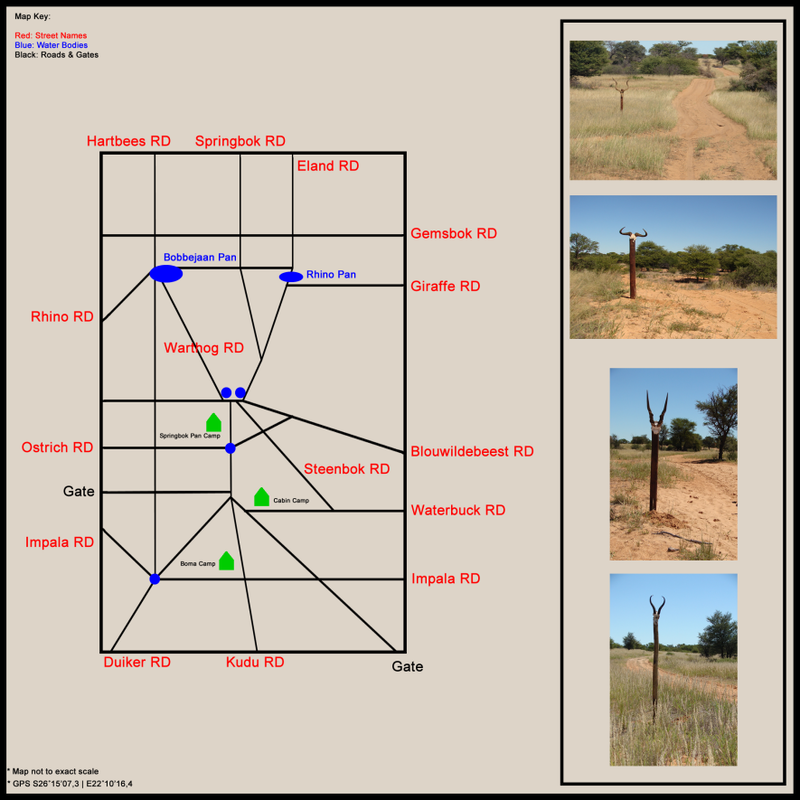 You pass Askham and in the village Andriesvale, you take the Gemsbok Bordepost road. From the Borderpost it is about 160km to the village Middelpits. You will find the Phirima Game Ranch turn off 70 kilometers from Middelpits. This whole route is tarrred. The last stretch is a 12km sand road to the Phirima Game Ranch gate. 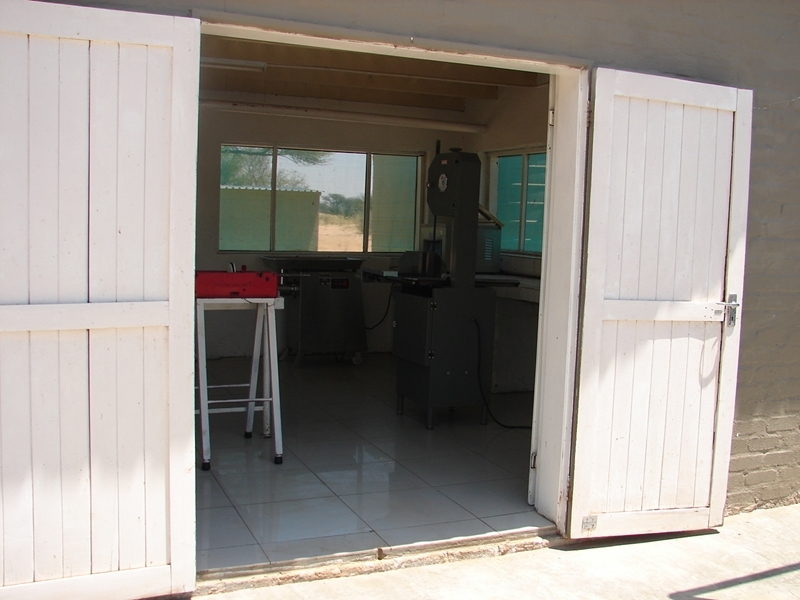 For hunters who want to process their meat on the farm, our well-equipped butchery is available free of charge. 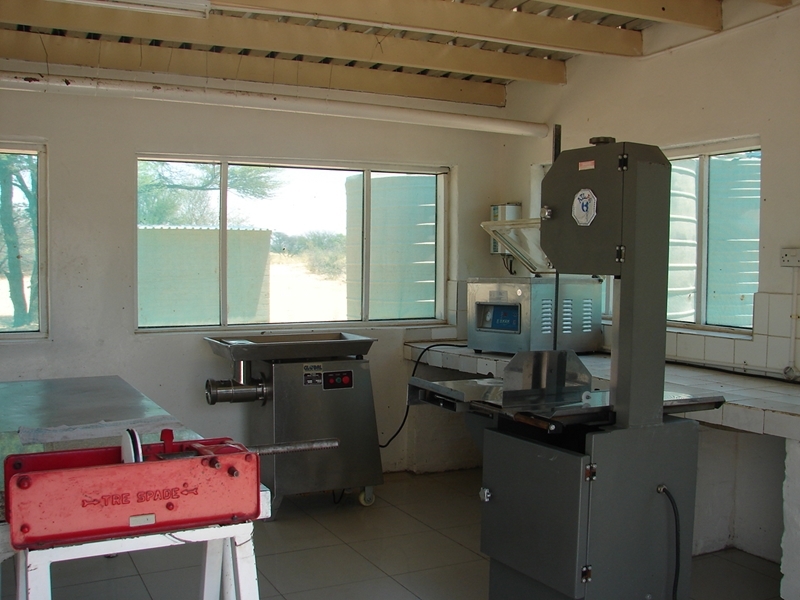 Amongst other things, the butchery is equipped with a band saw, mincer, vacuum machine, and sausage filler. 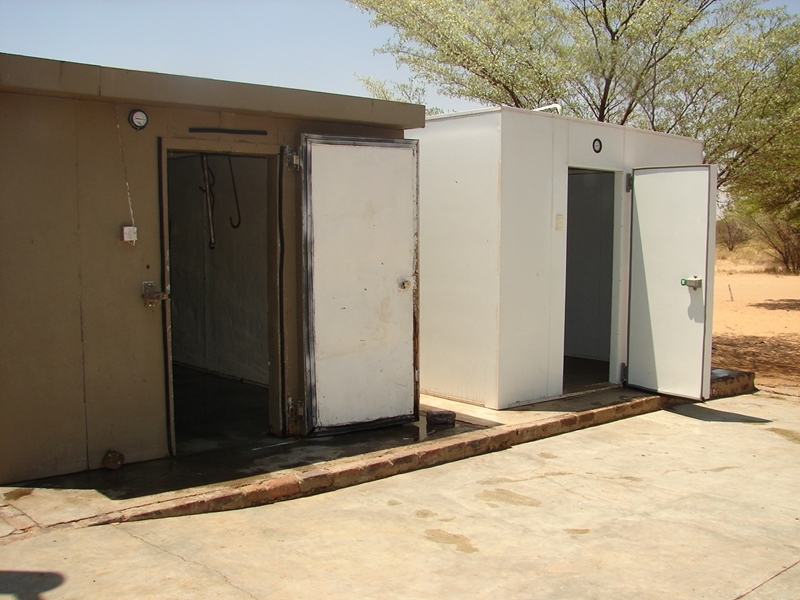 We also have two 6-meter cold rooms available for our hunters' convenience. This setup enables us to keep halaal and non-halaal meat separately. To ensure a successful and enjoyable hunt, a very well-equipped 150-meter shooting range is available for target shooting and rifle sighting. The farm has two fully equipped hunting vehicles (Toyota Land Cruisers) that can be used for hunting. We also allow hunters to use their own vehicles, if they prefer to do so. Additionally, we have a 12-seat game viewing vehicle (Land Rover) available for game drives. Game viewing is undertaken by one of our well-trained personnel, to ensure the enjoyment of game viewers. Our vehicles are available to our guests for a nominal fee.